The U.S. economy bounced back from the disastrous May print of 38,000 (and downward revision to 11,000) and beat market expectations by adding 287,000 jobs, the highest number since October 2015. The private sector hired 265,000. The unemployment rate rose to 4.9%. 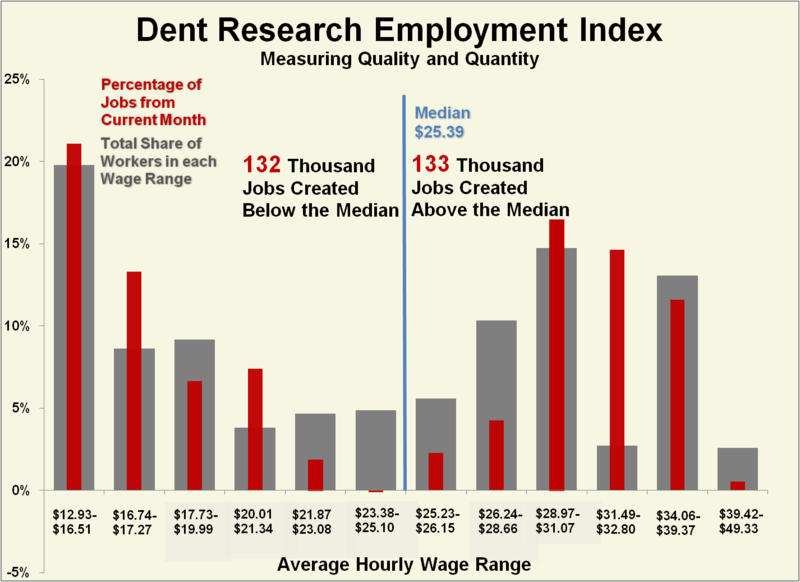 In this bounce-back month, Dent Research finds a roughly even split of jobs added above and below the median wage (133,000 vs. 132,000). And while it’s tempting to put May’s disaster behind us and think that employment is back on track, the reality of middle wage jobs’ stagnancy remains inescapable. Industries paying in the middle third of the wage scale accounted for just 8% of June’s job gains. 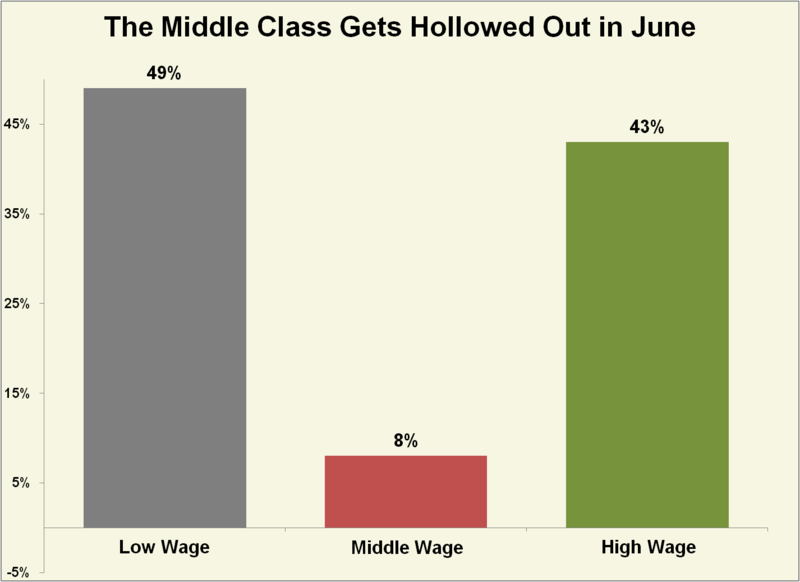 In contrast, 49% of new jobs went to the lowest third on the wage scale. Hires by social services and bars and restaurants led the way. Each of those industries fall in the five lowest-paying jobs out of the 84 major industries we study each month. The highest third netted 43% of new jobs. Telecommunications added over 28,000 jobs, which appears to represents the end of the Verizon strike. Still, these jobs pay an average of $32.15 per hour.